Home / Past Events / Toy Toy Toy! 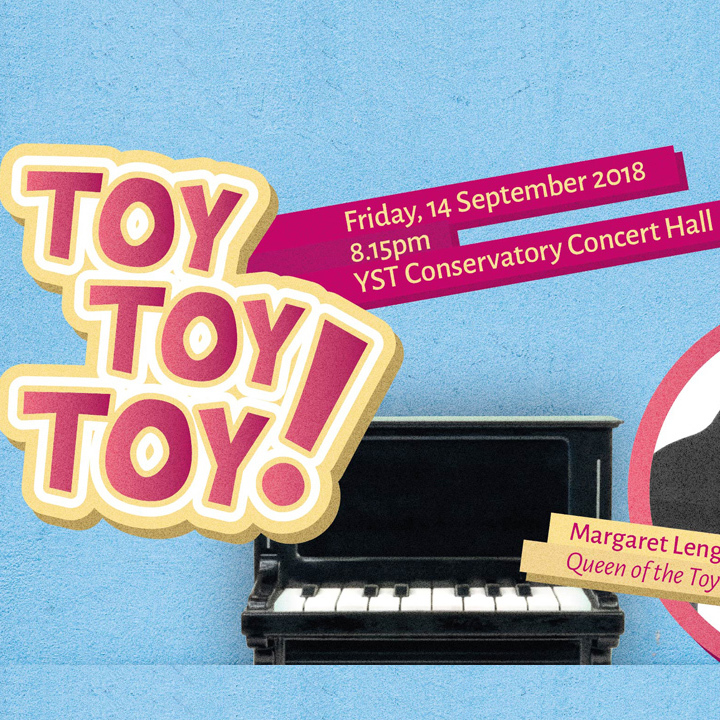 Set your imagination free as Cultural Medallion winner and “Queen of the Toy Piano” Margaret Leng Tan joins re:Sound in an evening of music centred around toys and the toy piano. Expect fun, twists and surprises in the ‘Toy Symphony’ widely attributed to Josef Haydn, and the world premiere of a new arrangement of Stephen Montague’s ‘A Toy Symphony’, incorporating the toy piano. The world’s leading exponent of the music of John Cage, Margaret Leng Tan will also bring you on a wonderful journey of miniatures for toy piano and chamber ensemble, including gems by Erik Satie, Philip Glass and John Cage. Classical music will never be so much fun!